Daily Fish Supplies have been on the fish scene for many years! We have a wealth of experience which we are keen to share with our customers. 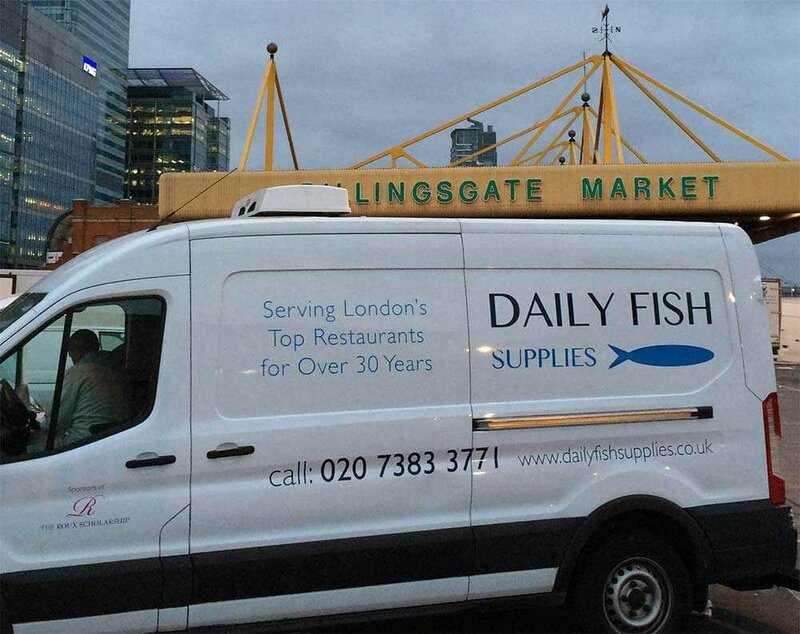 We buy each day from coastal markets along with a daily trip to Billingsgate. Peterhead, Fraserburgh and Aberdeen gives us Monkfish, Coley, Turbot, Halibut, Lemon Sole, Plaice, Pollock and Hake. We buy Crab from Norfolk, and Brixham offers us Monkfish, Lemon Sole, Hake and Clams. We serve chefs each day in central and outer London.